Donald Trump recently signed a record-breaking arms deal with Saudi Arabia worth $350 billion over the next decade. The deal was said to be made with the intention of bolstering security “in the face of Iranian threats.” Around $110 billion from the deal is set to take effect immediately. This deal will provide Riyadh with tanks, helicopters, close air support, intelligence-gathering aircraft, artillery, as well as missile systems such as the THAAD weaponized-space system and Patriot missile defense. These are just a few items on the long list of weapons and machinery due to be provided to the Saudi regime by the United States. The State Department announced that the “intended sales” of this package include deals in five different categories which include air force modernization, air and missile defense, border/coastal security, as well as cyber-security. Commander-in-chief Donald Trump signed this package upon his first overseas trip as president in which he met with Saudi King Salman bin Abdulaziz al-Saud. He did so without hesitation, despite Saudi Arabia’s brutal, inhumane domestic and foreign policies. Detainees, including children, commonly face systematic violations of dignity and human rights, including arbitrary arrest. Judges regularly sentence defendants to floggings of several hundreds of lashes. Saudi Arabia dramatically increased their execution rate in 2015 and onward. According to Interior Ministry statements, Saudi Arabia executed 152 people between January and November of 2015. Most executions are carried out by beheading, often times in public. In February 2015, the Saudi court sentenced a man to death for apostasy after he allegedly filmed himself ripping up a copy of the Quran. In November, Palestinian poet Ashraf Fayadh was sentenced to death for alleged blasphemous statements during a discussion group and in a book of his poetry. Under Saudi Arabia’s discriminatory “male guardianship” system, adult women must be granted permission by a male (typically a father, brother, husband, or even a son) in order to pursue basic tasks such as traveling, leaving prison, marrying or gaining access to healthcare. Women frequently face challenges conducting a wide range of transactions without a male relative present. This Saudi policy also restricts all women from accessing or traveling in automobiles. In the Gulf Kingdom, homosexuality is regarded as punishable by beheading. At a recent UN Human Rights council, Saudi Arabia objected to a report by the special rapporteur on torture regarding human rights abuses against the LGBT community because “extending human rights protection for LGBT people lacks any ground in international law.” In 2002, Saudi courts sentenced three men to execution for homosexual acts. In another incident, a homosexual man was sentenced to three years in prison and 450 lashes for meeting men on Twitter. With the help of U.S. assistance, Saudi Arabia is currently pursuing a mass-genocide campaign in Yemen, one of the most impoverished countries on the Arabian peninsula (Saudi Arabia being one of the richest). Airstrikes launched by the Saudi coalition have claimed the lives of well over 11,000 Yemeni civilians and injured more than 40,000 innocent people, according to statistics from March. However, according to local sources the death toll has already reached over 12,000 including countless women and children. 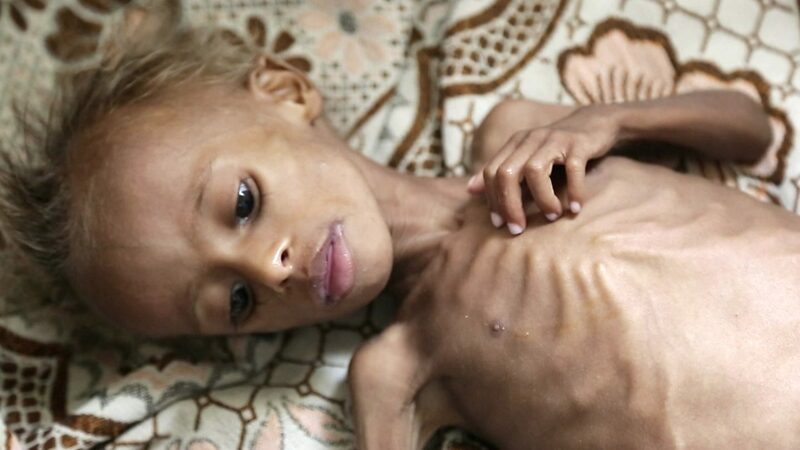 The rates of starvation have accelerated in Yemen during the conflict due to a blockade imposed by the Saudi regime. According to reports, the Saudi blockade has cut off access to the source of 90% of Yemeni food. As a result, around 2.2 million children in Yemen suffer from malnutrition, making them extremely vulnerable to disease and fatal illness. Over 462,000 Yemeni children have been diagnosed with Severe Acute Malnutrition (SAM) by the UNIFEC. All of this and more raises serious questions and concerns regarding why President Trump would continue support for the Saudi Kingdom in the midst of such brutality, inhumanity, and blatant human rights violations. This, however, should not come as a surprise considering the foreign policy of his predecessors. During Obama’s presidency, he offered Saudi Arabia a $115 billion military aid package, at the time this was the most ever offered to the Saudi Regime by a U.S. President. In 2008, former President George W. Bush pushed a deal promising the Saudi regime $20 billion in military aid. In 2016, the Saudi regime donated an estimated $10 – $25 million to the Clinton Foundation. This is something then-candidate Donald Trump often referred to as evidence that his rival Hillary Clinton was a bought-and-sold career politician. This deal, along with the most recent escalation in Syria waged against the Assad regime, have in a sense confirmed looming suspicions that the status-quo will not be challenged even if a supposed “outsider” takes office. If Trump’s supporters are to be consistent, they must hold their President to the same standard as his predecessor and demand he change his policies on key issues such as these.